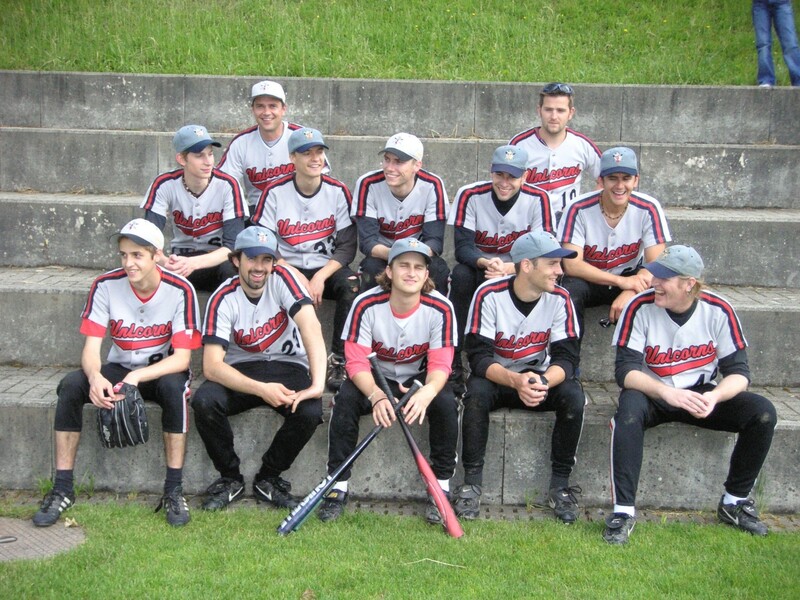 Once upon a time a handful of young men from Zug and the surrounding area were playing baseball at the Eagles Baseball Club in Reussbühl: Daniel Boll, Gerry Merk, Marcel Faé, Gianmarco DeCol and Markus Lötscher, as well as the Greenhorns (Marco Muoser, Bo-Fredrik Haga, Michael Setz and Christoph Lötscher). 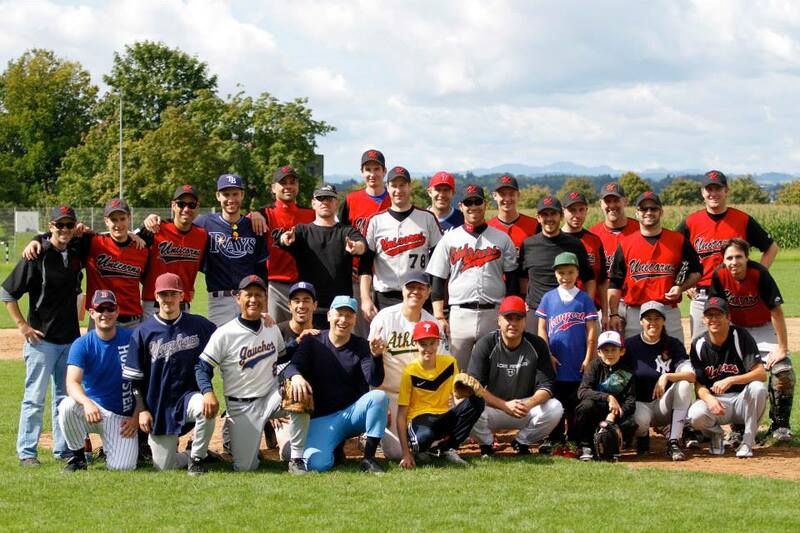 Since the Eagles had a permanent team and the newcomers had to train a long time in order to play, these men came up with the idea to start their own baseball team in the canton of Zug. Within a short time, enough players could be found to start the first Zug baseball team. There was some discussion regarding the club name. Proposals such as Bobcats, Rebels, Sharks, Unicorns, and Cougars were recorded by the 19 attending members at the inaugural meeting on September 16, 1988. The main competition was the Rebles. However, the idea of taking the unicorn from the Hünenberg coat of arms convinced the majority of votes. 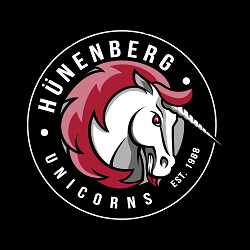 So began the history of the baseball (and soon after softball) team known as the Hünenberg Unicorns. On April 30, 1989, the first official game for the National League B championship took place against the Bern Cardinals. In 1992, the juvenile and cadet teams were founded under the direction of Marco Muoser and Pascal Vollmeier. Since that time, the junior teams have become the foundation of our club. These team found success quickly when the Cadets became Vice Swiss Champion in 1996 and 1997. The club has strived to maintain that success. As recently as 2013, the Juveniles won the Swiss championship title. In 1994, two years after starting the junior’s teams, the ladies’ team was founded under the direction of Boris Schwarzenberger and Marco Iten. The Unicorns quickly rose to success and in 1997 they became NLB champions. In 2018, the club celebrated its 30th anniversary. The enthusiasm and sporting spirit is still undimmed. We are currently participating in the championships with five teams: – NLB (16 and older), 1st league (16 and older), Cadets (under 15 years old), Juveniles (under 12 years old), and Slowpitch Softball (All ages). Our great pride is our baseball field – one of the most beautiful in Switzerland. The field was built in 2009. The facilities are top notch- with a beautiful grass infield, covered dugouts and backstop.